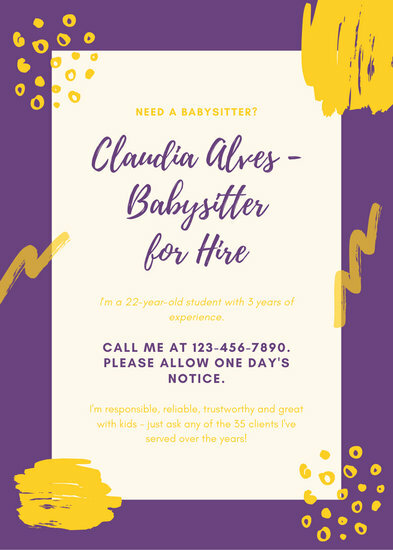 Let the neighborhood know you're a babysitting pro with Canva's professionally designed flyers you can personalize to promote your services. 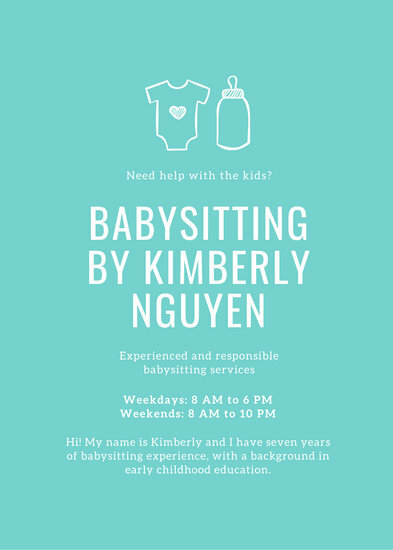 Babysitters are like a godsend to new parents. 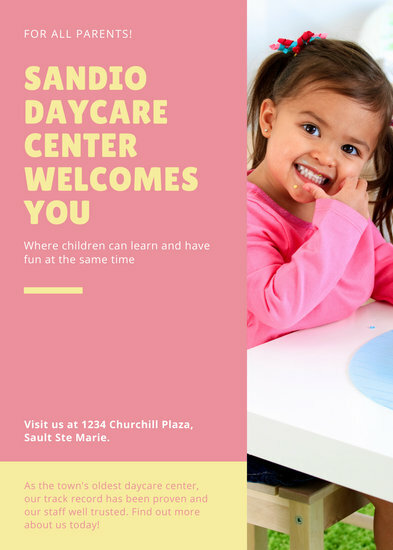 Not only do they come with the experience and expertise in childcare that can make new mothers and fathers complacent enough to place their little angels under their care, they also enable these couples to have some time for themselves - a key element in preserving any union. 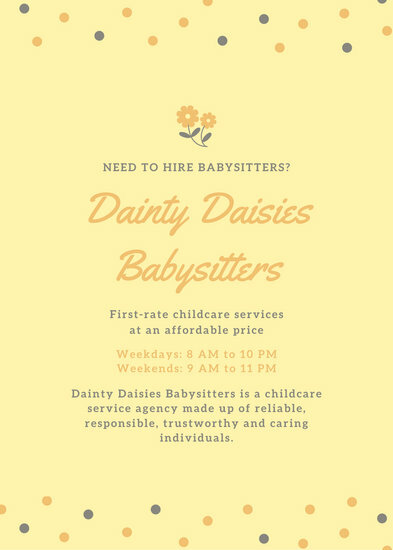 Of course, no parent would trust just any babysitter; most of them would go by recommendations, or look at listings from credible sources to find a babysitter that meets their requirements and asks for compensation well within their price range. 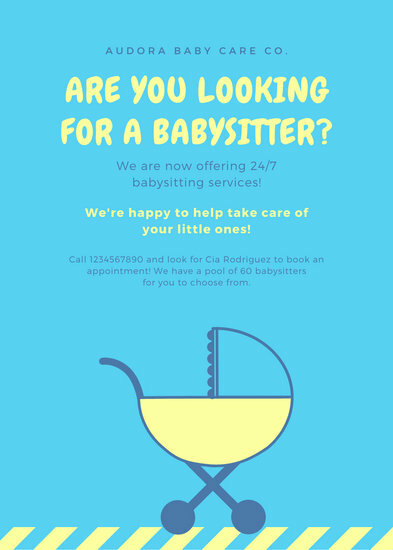 This can make it tough for you if you're operating independently, or if you're new to the babysitting business. 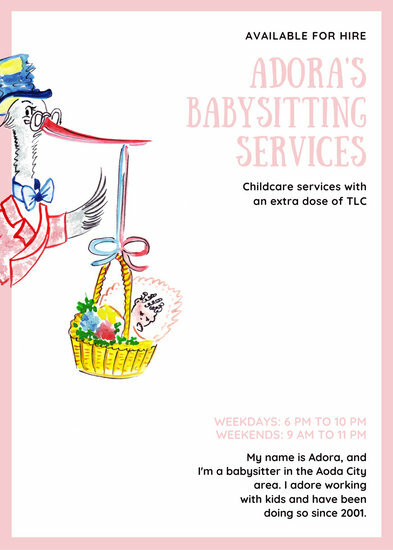 How can you make your prospective clients trust you enough to leave their children in your care? The answer, of course, is to be as open to them as possible - to show them that you're reliable, and that they can trust you with their child's life. This message needs to be reflected in your promotional materials, such as your flyers. 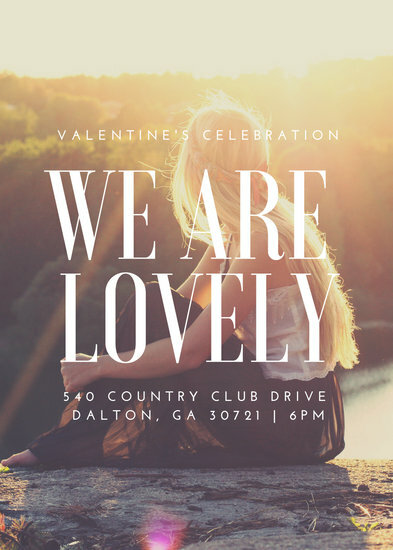 Luckily, Canva offers a host of flyer templates that are perfect for your needs. 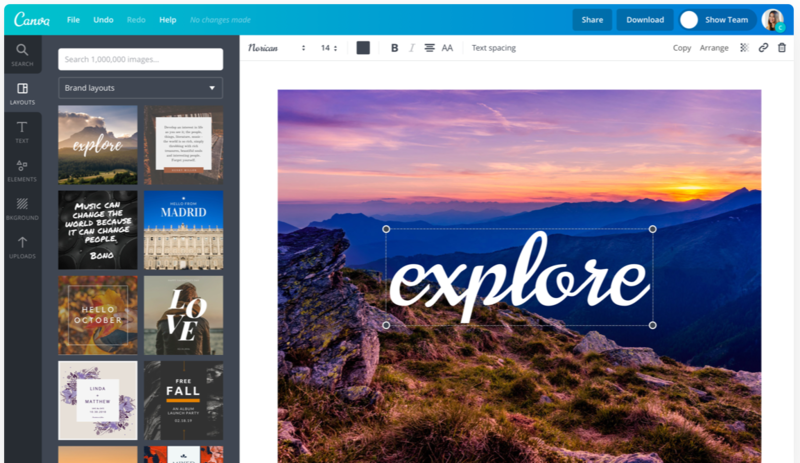 Simply choose from Canva's range of premade, customizable flyer layout options and load it in the Canva Dashboard. 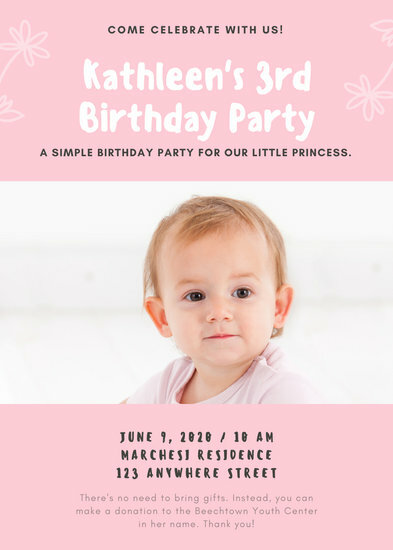 There, you'll find an assortment of tools that can help you create a flyer that adequately communicates who you are and why you can be trusted. 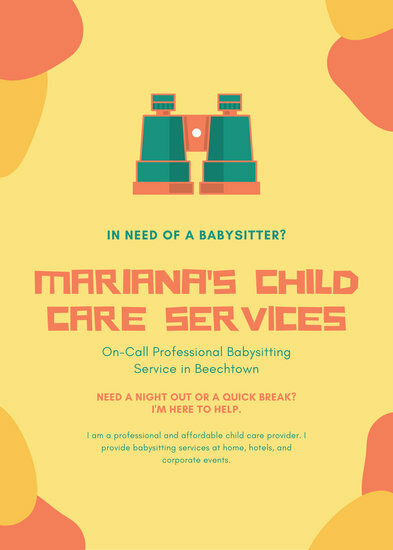 With full creative control, you can design your flyer to look more child-friendly, or give it a serious tone to show that you mean business. 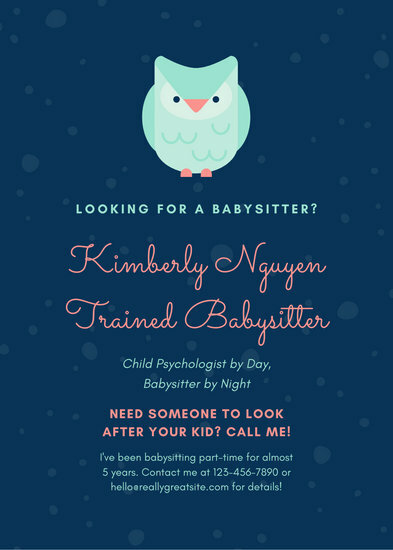 With Canva, your design options are limitless (hopefully, like your patience with children)!